On Saturday 29th September, there was a Macmillan Coffee morning in the Parish Community Centre. 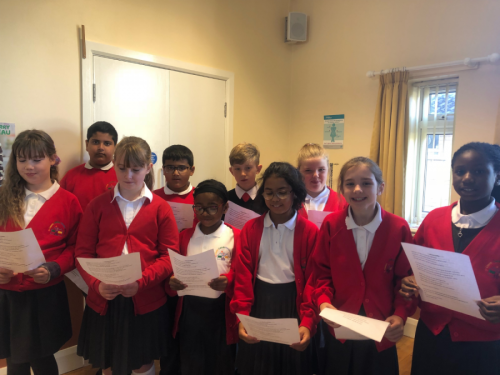 We were delighted that some of the children from Years 4-6 took part in the event by singing some harvest songs, accompanied by Mr Kyle. The event was a great success and the parishioners were delighted to see our children being involved.